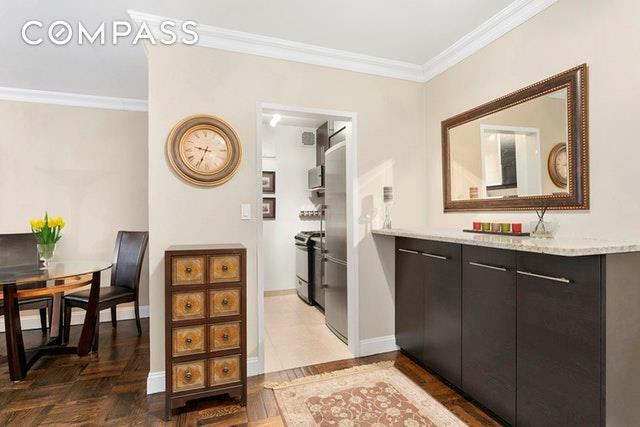 Move right in to this "Turn-Key Condition", Oversized One Bedroom with East River Views! The generously proportioned living room features beautifully appointed crown moldings, large windows and a spacious dining area. The bedroom easily accommodates a king size bed with room to spare. 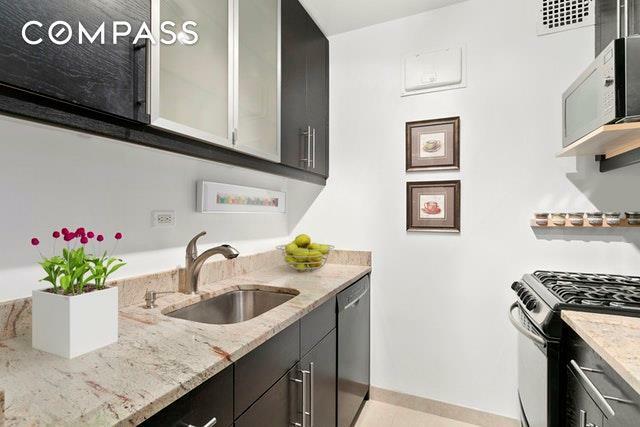 Renovated kitchen features granite countertops, ebony cabinets with glass doors and mint condition appliances while the bathroom is upgraded with new vanity and sink, medicine cabinet and new shower doors. Ample closet space throughout, beautifully stained flooring and custom built-in storage in the already large entry foyer make this meticulously maintained home the perfect investment.55 East End Avenue is a well-established cooperative building with a recently renovated lobby staffed by 24/7 doormen, resident manager, fitness center, bike room, storage and a beautiful roof deck overlooking the East River. 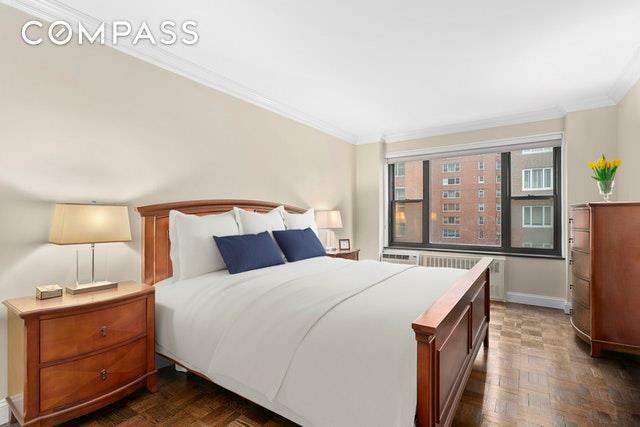 The tranquility of East End Avenue leads North to Carl Schurz Park and South to easy access both to the FDR Drive and 79th Street with crosstown transportation. 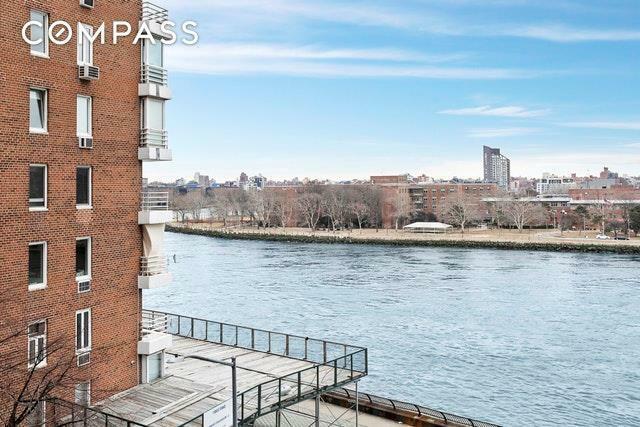 Easy access to the East River Promenade. Monthly assessment of $343.08 for hallway renovations and elevator upgrades intil April 2020. Pets allowed and pied-a-terres permitted with board approval. Listing courtesy of Jesse Feldman of Compass.